This is a quote from Thomas Grey’s ‘Ode on a Distant Prospect of Eton College’. Basically meaning ‘what you don’t know, cannot hurt you’, the quote has been used liberally in modern urban society. However, it holds a whole different meaning for their rural counterpart. In rural India, however, ignorance is a way of life, and it also comes with dire consequences. 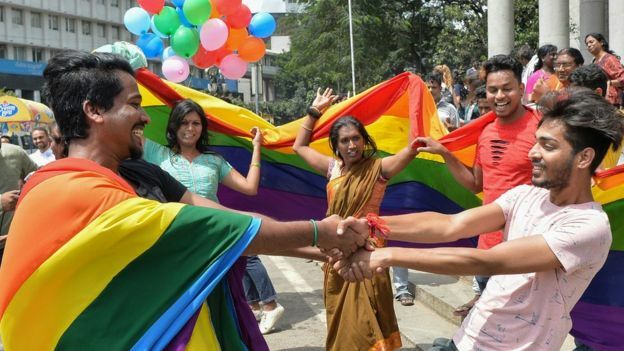 When Section 377 was repealed by the Indian Supreme Court in September, 2018, the LGBTQ+ community celebrated this as a victory as well as a stepping stone for further developments, all around the country. The event trended on social media for days. Famous personalities and the mass were talking about it at the same time. Almost every big and small company were jumping the bandwagon and including the ‘pride’ in their marketing. But the scene has been drastically different in rural India. One can say that the judgment had little to no effect in the rural areas, which make up around 67% of the country’s populace. The thing is, on surface, both rural and urban India belongs to the same country and the laws passed by the Supreme Court apply to both the regions equally. But that is just mere technicality. The reality, however, is quite different. The reality is that the two worlds could not be more apart. To pinpoint the main difference between the rural and urban scene, we sort of come back to what we started the article with – ignorance. Thanks to years and years of protests, pride marches, events and activism, urban India is now much more knowledgeable, open and acceptable about the different concepts of gender and sexuality. It has certainly come after a lot of work and unfair struggle, but it has. And now with the law repealed, one can expect it can only get better. In the rural areas, the laws do not quite matter, what the rest of the country is doing or celebrating does not quite matter either. The only thing that matters is what the people perceive it to be. And needless to say, homosexuality or non-binary identities are perceived with quite a bit of hostility. If one identifies as gay, bi, pan, trans or anything other than cis-het in rural India, social isolation and lack of safe spaces for self-declaration becomes a part of life – and that is not okay. 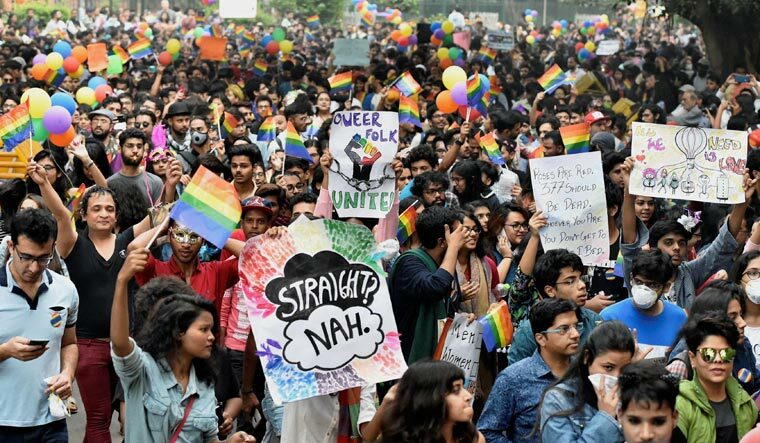 While one can see parents joining their kids in pride marches of the urban cities, rural India still sees incidents of rampant outcasting, disownment, conversion therapies, employment of shamans and as much as honour killing. Let’s not even get into the several incidents of LGBT youth suicide and several other mental and physical health issues that occur as a consequence of the situation. Another huddle for the rural LGBT community is the lack of ‘community’ itself. Though the urban areas still have a long way to go when it comes to LGBT associations, one can still find peer circles in social groups, NGOs, gay bars and clubs and so on – especially in the metro cities. The absence of such institutions in the rural locations further adds to the social isolation and lack of exposure. The only viable solution of the problem is for people to change their mind-sets, their stigmatized opinions, their backdated ideals and so on. But that is quite vague an answer to such a deep-seated problem. However, the answer inevitably lies in education, awareness and widespread advocacy. The virtual world has an undeniable effect on changing people’s minds – but it works both ways. While progressive hashtags in this context like #loveislove, #lovewins, #pride and so on have helped this movement reach a much larger scale, social media platforms are also quick to take sides. There are always arguments both for and against any opinion – whether it is progressive and inclusive, or a completely skewed one. This is why the most important aspect is government intervention. Passing the law was an undeniably important first step, but it is not enough to bring a change in the scenario everywhere. It needs to be included in State activities in the rural areas. It needs to be infused into the conversation by the political and social leaders. It needs to become a discussion without any taboo or fear or hatred attached to it. Then and only will rural India become safer spaces for the LGBT community.